Language Objectives: Learn how to ask for directions using 'where is' and 'how do I get' question format. 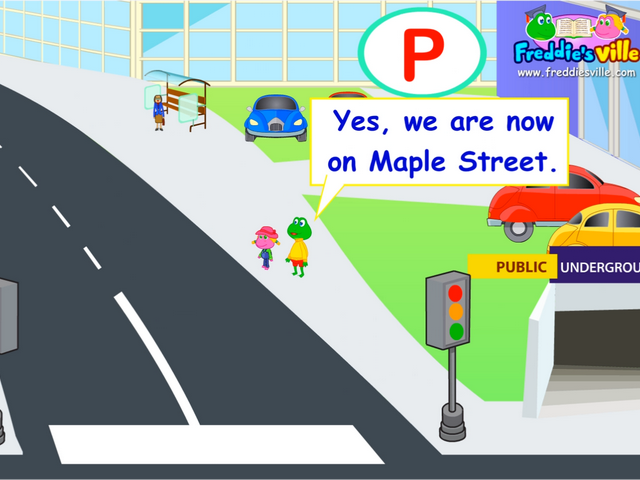 Also learn to use imperatives to give directions - go straight, turn right, walk down Maple street. Dialogue Story: Freddie and Lisa leave for the city with the expressed purpose of watching a game at the stadium. While in the city, they have difficulties finding the stadium. They stop and ask two strangers for directions and finally find their way to the stadium.